If you want to host a gold-medal birthday party, gymnastics is the way too go. Use KidsParties.Party to locate party places and studios that offer birthday packages for kids in Georgia. If you're planning a birthday for your son or nephew, scroll to the bottom of the page to see why boys can benefit from gymnastics. Who said gymnastics is a "girl" sport? In the same way that we equate football or ice hockey with boys, gymnastics camps and classes are almost always dominated by girls. The truth is, boys should be exposed to the uneven bars and trampolines, too. You might be surprised to know that at the world-class level, men perform in six competitive events, where women only perform in four. Gymnastics is one of the most difficult sports. It requires balance, strength, flexibility, agility, endurance and control. It engages nearly all muscle groups. Some boys love to boast being tough, strong athletes. This is the ultimate challenge for you son. 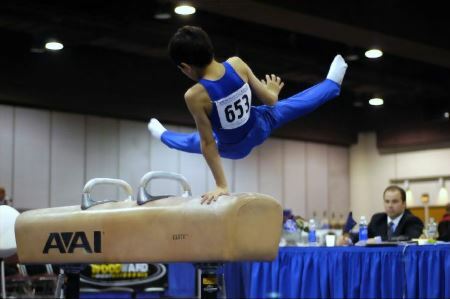 As your son gets older and continues to practice, he will become a skilled gymnast. If he goes on to try other sports, he might find that gymnastics is an excellent method of cross-training. In terms of cognitive benefits, they tend to be more alert, disciplined and show more self-confidence. Did that inspire you to host a gymnastics party for your son? Use KidsParties.Party to find places and studios in Georgia that offer birthday packages for kids of all ages. Many of these locations also offer co-ed classes and camps. Do you want your business listed? Does your gymnastics studio offer parties and lessons for everyone? 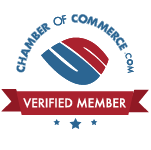 Get listed on this page by registering for an account or calling 732-298-6015. Looking to make your little gymnast's birthday the best yet? We have come up with over one hundred ways to make your child's day better than ever. Our blog is full of fun birthday ideas. We even have hundreds of birthday wishes our writers have come up with! You no longer have to struggle with store bought cards or generic birthday messages. Choose from our daughter wishes, son wishes, or the uncategorized wishes that could suit anyone!